David hosts Tom Rodrigues, winemaker and renowned artist, founder of Artevino wines and Maple Creek Winery. Maple Creek Ranch and Winery was established in the spring of 2001. Tom, an artist for more than four decades, decided to leave his hectic Marin County life and settle in the Yorkville Highlands of Anderson Valley, the premier growing region for Pinot Noir and Chardonnay. After finding the ideal environment for growing grapes and living a healthy lifestyle, he purchased the ranch, vineyard and winery. From there, he hired Kerry Damskey, a consulting winemaker, to mentor him in his winemaking techniques, making French style wine while using California fruit. Artevino was born. 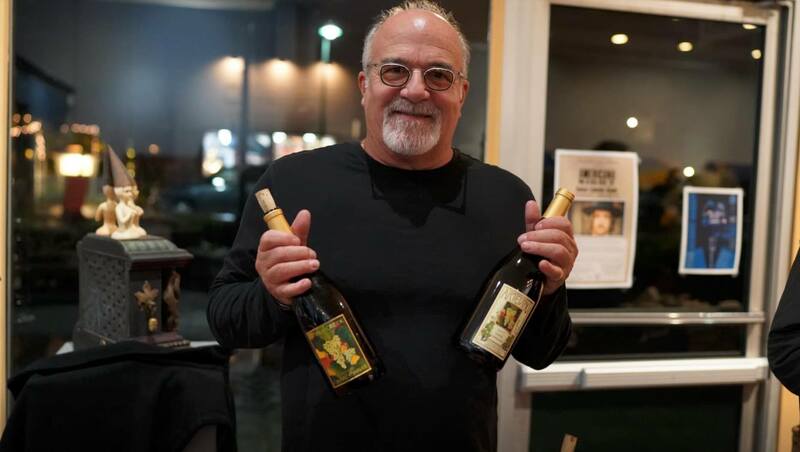 Tom’s art adorns the labels of Artevino with a different painting on each varietal from his”Vineyard Series.” His art may also be seen on some of the most notable industry, Far Niente, Nickel and Nickel, Dolce, EnRoute, Gemstone and Manzanita Creek, just to name a few.